LG has announced that it has already hit the million mark in sales for the LG Optimus One smartphone. The Android smartphone is aiming to be a competitively priced handset, and the early sales have already made it the company's fastest selling smartphone. When sales across Europe Asia and the US are combined, the Optimus One is now a million seller – just 40 days after its launch. "The versatile, powerful LG Optimus One was designed to provide an easy transition into the world of smartphones and as these numbers demonstrate, there is obviously a strong demand for this type of device," said Dr. Jong-seok Park, President and CEO of LG Electronics Mobile Communications Company. "Optimus One seems to be what many customers were waiting for, proving that smartphones aren't just for early adopters anymore." 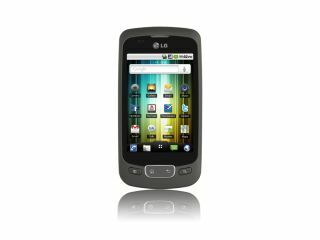 The phone was praised in the TechRadar LG Optimus One review for its battery life and 'uncluttered' Android 2.2 OS along with some clever custom LG widgets. However, the design was considered bland and the screen resolution criticised as it picked up 3.5 stars out of a possible five.